SOL Electrical installed a Rolec Autocharge pedestal unit at Somerset Energy Innovation Centre in July 2017. The chargepoint is available for public use Monday to Friday and is listed on ZAP Map. Users download the Rolec evcharge.online app, create an account and add credit; they can then charge on a pay as you go basis. There are no membership fees, no annual subscription fees and no connection fees. 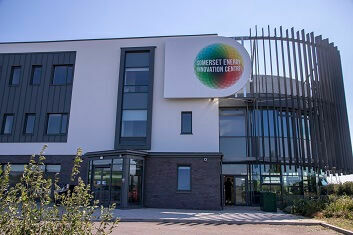 Charging at the Somerset Energy Innovation Centre is at £3 per hour. Rolec’s AutoCharge: EV Pedestal is a heavy duty, hard wearing pedestal designed and manufactured for public facing environments. This versatile future-proof unit is available in 1way or 2way, Type 2, Mode 3 IEC 62196 FastCharge or SuperFast format and has built-in overload and fault current protection.